Stately home weddings are certainly on the rise this year with more couples wanting to host a grand wedding in a stunning venue, all without the fuss of going abroad. 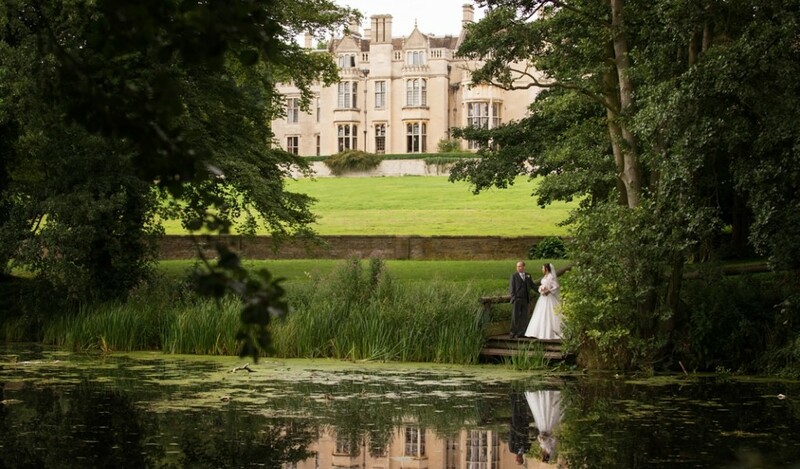 Sir William Tresham began building Rushton Hall as his grand family home back in 1438 and today we are lucky to call this magnificent Grade I Listed Stately Home one of the finest Northamptonshire wedding venues. With stunning period architecture, purpose built design, sprawling gardens and original artifacts and furniture, stately homes make the perfect backdrop for a beautiful wedding. A stately home is sure to inspire and delight your wedding guests as well as being a readymade background for impressive photos. Most stately homes, like our Northamptonshire country hotel, have facilities enabling you to stay as a regular guest, visit the leisure facilities or simply pop in for an afternoon tea all year round, meaning you can relive your wedding memories time and time again. There’s something special about knowing that the place where you are getting married has such a rich history and by tying the knot in a stately home, you are becoming part of its story. Here at Rushton, we are incredibly proud to be able to expand our wonderful stately home and build a stunning new Orangery to match the original architecture. Our beautiful new events space is opening this summer and will allow us to host even grander and more breathtaking weddings than ever before. The purpose built design and stunning period architecture have all been created to compliment our stately home and are sure to enchant you and your wedding guests. To find out about our Stately Home or the finest Wedding Packages in Northamptonshire, please call 01536 713001 or email our Weddings and Events Team on weddings@rushtonhall.com.